This miniature dollhouse window is an unfinished, 1:12 scale miniature component for building dollhouses. 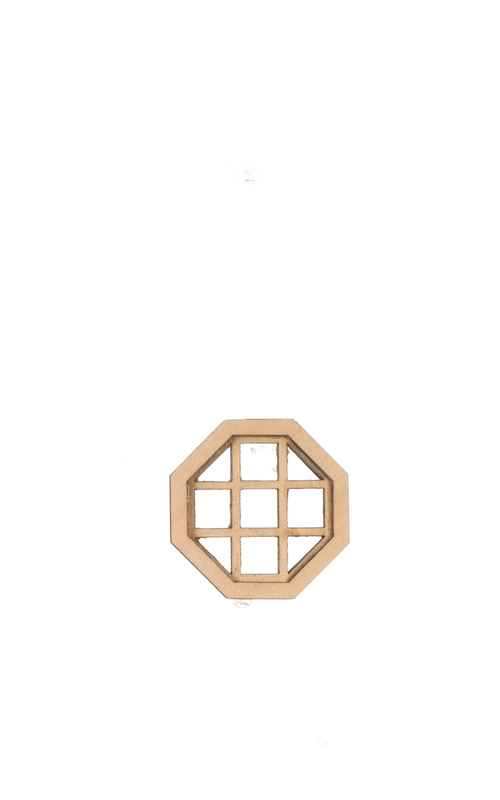 The miniature, crosshatch octagon window fits a 2-1/16" diameter opening. The casement is crosshatch design and this miniature window is a non-working single dollhouse window. 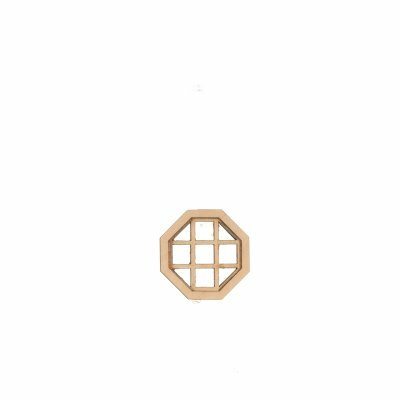 This Crosshatch Octagon Non-Working Dollhouse Window is supplied by Handley House Miniatures, which generally ships within 8 business day(s) of you placing your order . Handley House of Wheeling, West Virginia is the largest distributor of dollhouse miniatures and accessories. They offer over 40,000 miniature items and over 30 product lines to choose from.